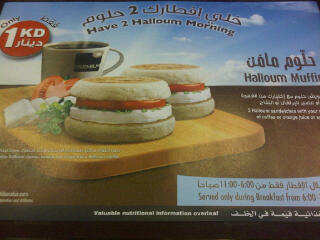 Now you can get 2 Hamloum Muffins, with drinks, for the same price of KD 1. This is a great choice for people who don’t like to eat fried food early in the morning. You now get an extra muffin instead of that fried hashbrown.